Born in the City of Angels, raised on Walt Disney, and inspired by the dreams of both, Kathy Holmes grew up in southern California halfway between Disneyland and the beach. Tantalized by the tropics since Adam Troy set sail on the Kon Tiki in James A. Michener’s “Adventures in Paradise,” she traveled to tropical destinations such as Hawaii, Florida, the Caribbean, Mexico, and Asia Pacific. Eventually, she moved to Florida where she wrote and secured representation for Real Women Wear Red. She also wrote for Walt Disney World and the Orlando Sentinel. After living in Las Vegas for a few years, Kathy, her husband, and their three Burmese cats have moved back to Florida and are now living halfway between Walt Disney World and the beach in Central Florida. 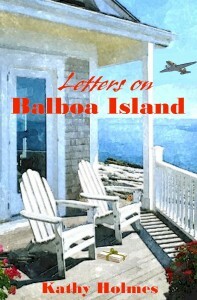 Her latest book is Letters on Balboa Island. Can you tell us a bit about yourself? I grew up halfway between Disneyland and the beach and I have such fond memories of that place and that time. I draw on some of those experiences in Letters on Balboa Island because my family went there often – either to swim in the ocean or the Bay, ride the Ferris Wheel, eat a frozen banana, or peek into the fancy houses just before dusk when people turned on their lights and left the windows open. My step-dad was slightly embarrassed when my mother and I let out an occasional ooh and aah. I didn’t find out until recently that she used to go to Balboa Island with her friends when she was a teen. When did you begin writing? I was living/working in a high-stress job in Silicon Valley, had recently married my soulmate, and longing to switch careers. I started thinking about my love of fiction and how I’d promised myself that one day I would write a novel. Sound familiar? Anyway, with my new husband’s whole-hearted encouragement, on January 31, 2002, I ordered the “Immediate Fiction” workshop course from the Writer’s Loft in Chicago. I discovered later that this was the same workshop that my favorite author Laura Caldwell participated in. What is this book about? When Rosalie sends a Dear John letter to the one serving in the Korean War to marry the one back home, she begins a life of secrets and regrets. Years later, when letters surface on Balboa Island, she realizes she may have chosen the wrong man. So when fate gives her the chance to make a different choice, will she? Or has she lived a life of lies for too long? What inspired you to write it? Where can readers purchase a copy of your book? All of my books are found on amazon.com or you can find the link from my web site and/or blog. Do you have a website and/or blog where readers can find out more? 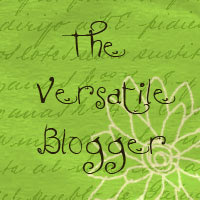 My web site is http://www.kathyholmes.net/ with a link to my blog at http://flipflopsandfabs.blogspot.com/. What is up next for you? I have a completed manuscript that’s ready for revisions. It’s a little different from what I’ve done before, but then, all of my books are different from one another. REAL WOMEN WEAR RED is considered chick lit/hen lit, THE TOM JONES CLUB is a romance, LETTERS ON BALBOA ISLAND is a nontraditional historical, and my next manuscript is more of a psychological thriller. Thansk for being my guest, Kathy. Thanks for having me, Cheryl! Visit Books Can Be Deadly for mysteries, crime novels, true crime books, thrillers, and suspense novels. Check out my latest blog! At An Imperfect Christian Mom you'll find Christian fiction and non-fiction for all ages, helpful tips, product and movie reviews, and more! Click here. Check out our kid's book blog! 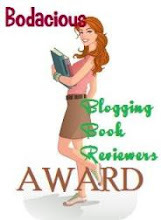 For reviews of children's, middle grade, tweens, and teen books, check out The Children's and Teens' Book Connection, or as I like to call it TC&TBC. Who Do You Write Like? 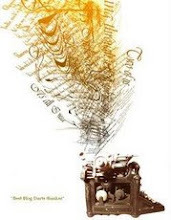 I Write Like by Mémoires, journal software. Analyze your writing! Happy Easter: FREE AUDIOBOOK SAMPLES! AWAKE: A GOOD TWIN, BAD TWIN THRILLER IS FINALLY RELEASED! My new release: Mama Graciela's Secret... PLUS Goodreads Giveaway!